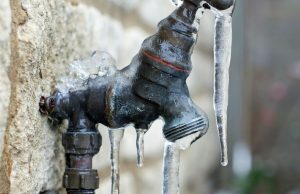 The Chilling Truth About Frozen Pipe Claims – And Ways to Avoid Them – Hermitage TN | Bush Insurance & Financial Services, Inc.
Seek out names of frozen pipe damage companies in the Nashville area. Find out which ones offer emergency after-hours service, and which ones are willing to submit claim forms to your insurance company. Consider asking one of the companies to inspect your pipes now for signs of any potential problems. Make sure your pipes are insulated. Periodically inspect the insulation, since pests or rodents can damage them. Once freezing temperatures arrive, leave faucets turned on slightly. Running water will not freeze easily. Open your cabinet doors to allow heat to circulate around the pipes. If you will be away from your home for an extended period of time, set your home’s thermostat to no lower than 55 degrees F, and ask a neighbor to check your house for you. Be alert to signs that your pipes may have frozen in the ground leading to your home. Your water flow may be noticeably weaker, the pipes may make noise when the water is flowing, or you may see soil in the water or see your pipes moving inside the walls. Do you know how your homeowners insurance covers damage from frozen pipes? Call us at 615-794-9668 to discuss. “Service! Service! Service! You may save 50¢ buying insurance on line, but when you have a claim or problem of any kind you will wish you went to a reputable agent, and it doesn't get any better than with Bush Insurance and their premium service, knowledge, and understanding of your unique individual needs.